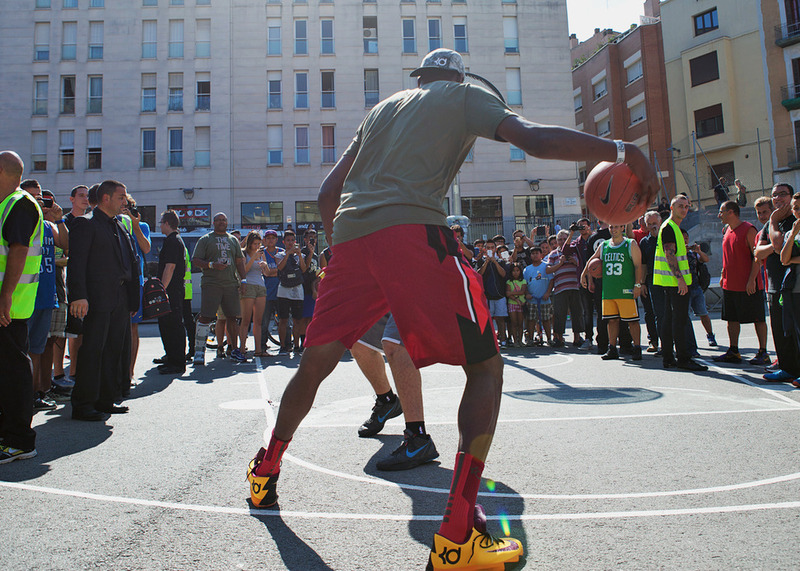 Kevin Durant laced up the anticipated "Peanut Butter and Jelly" KD 6 during his stay in Spain yesterday. 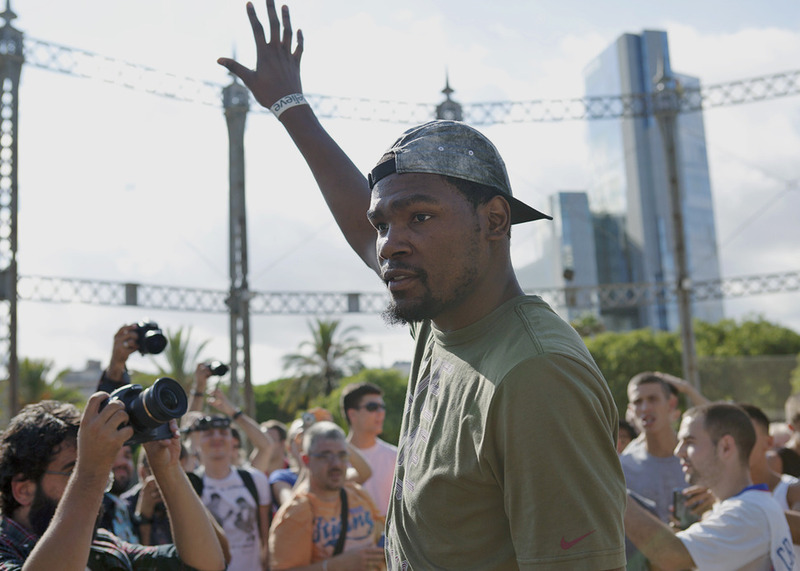 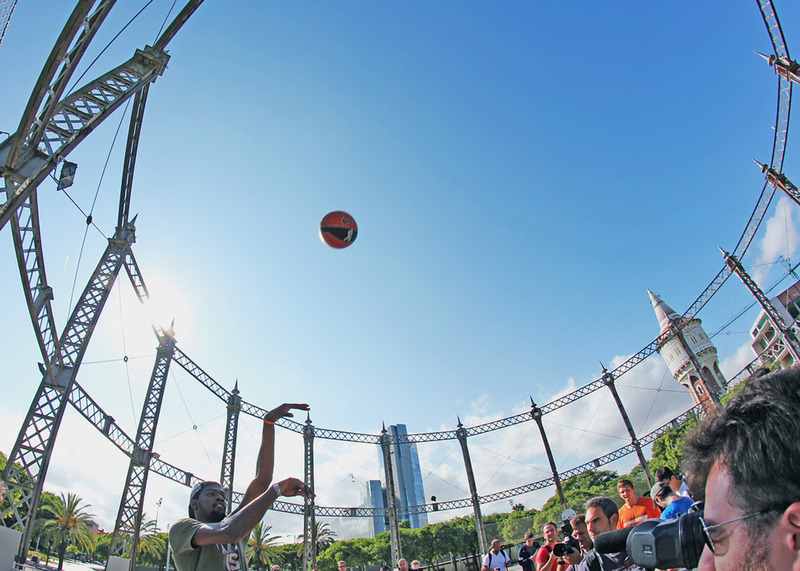 Kevin Durant made the final stop on his European tour yesterday, visiting Spain for a few appearances in Barcelona. 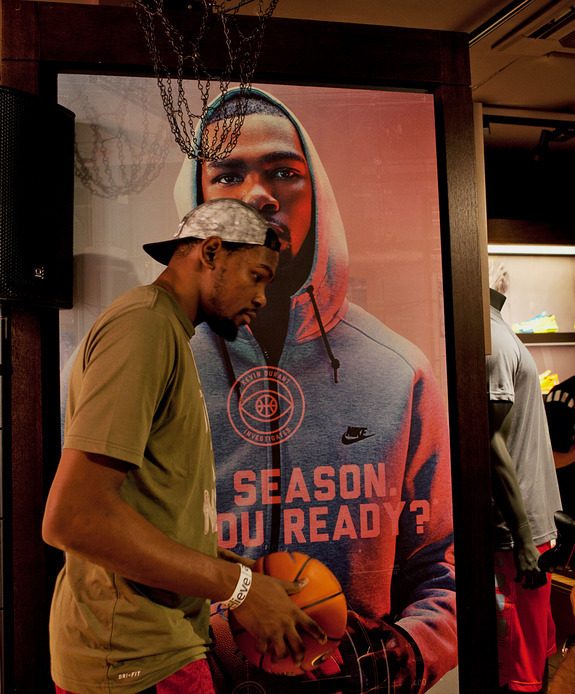 During his time in the city Durant laced up the upcoming "Peanut Butter and Jelly" KD 6, designed after one of his favorite foods growing up. 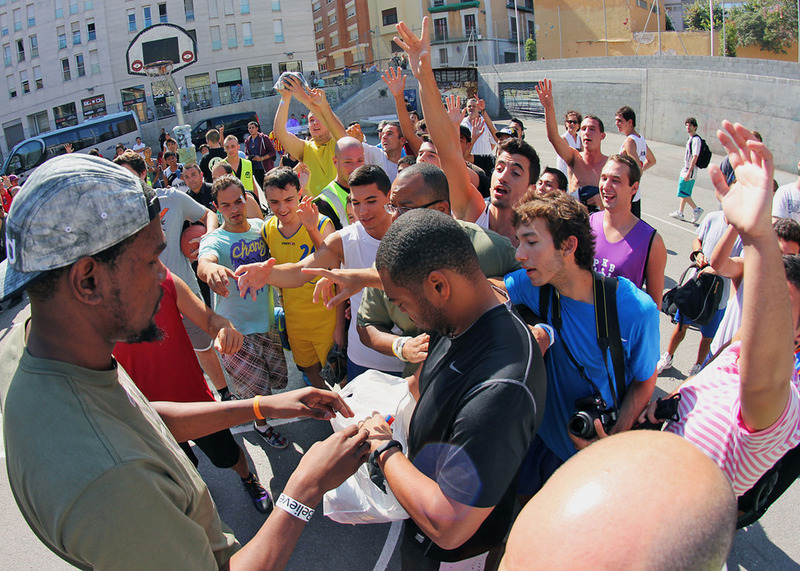 The peanut butter-hued and jelly-Swooshed KD 6 (that we're still waiting to hear a release date for) made an appearance on KD's feet at Valdonzella basketball court where he played a little pick-up with the locals. 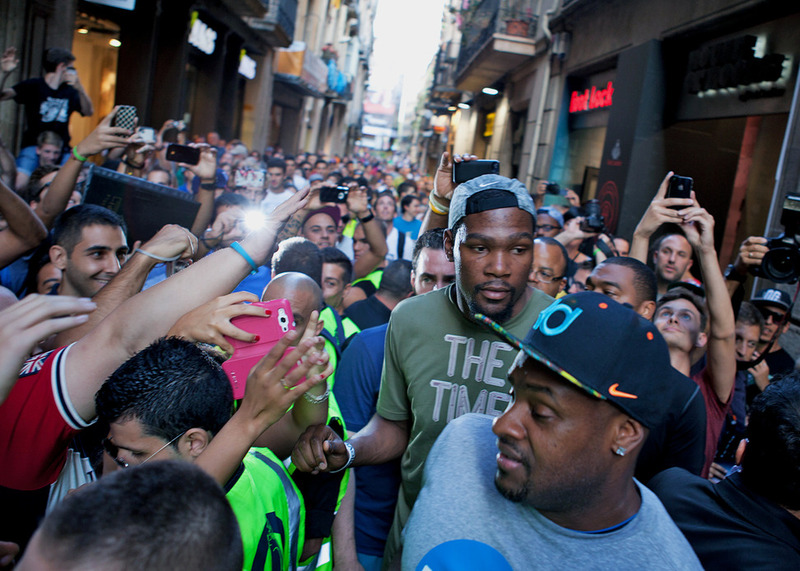 Check out the on-foot image below, along with other shots from KD's stop in Spain.